Located a 5-minute drive from the beautiful beaches of Bude, Pentire Coastal Holiday Park is the ideal place for a break in Cornwall. You can unwind in a spacious modern holiday home in peaceful surroundings, with the striking scenery of the coast within easy distance. Pentire has a variety of comfortable caravans available to book, all of which are modern and well-equipped, with many boasting incredible views of the nearby coast. The local village of Kilkhampton with its pubs and restaurants is just 15 minutes’ walk away, and easy access to the A39 means you’re also ideally placed to explore by car the many attractions Cornwall has to offer. Cornwall’s beaches are famous for their beauty, and Pentire is a perfect place to explore them from. 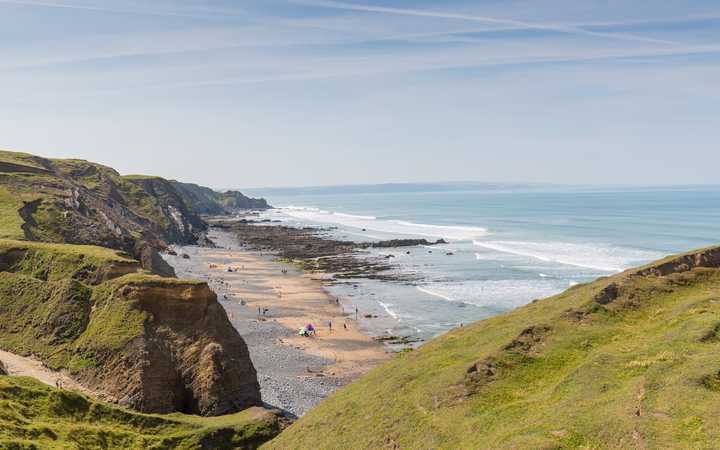 It’s an ideal starting point for a coastal walk to take in the striking scenery, and Bude is just a 5-minute drive away, offering direct access to the gorgeous Summerleaze Beach. Choose from a range of modern luxury caravans, with heating in every room and free electricity and gas. Whatever option you choose, you’ll have a fully equipped kitchen, shower and WC, as well as a large TV in the comfortable lounge. There’s also free WiFi available throughout the site. For essential supplies, evening meals or just a drink or two, the village shops, pubs and restaurants in Kilkhampton are within walking distance. The London Inn is particularly worth a look as a dog-friendly family pub offering delicious food and drink, as well as a large beer garden for those sunny days. This area of Cornwall is a walker's paradise, with a range of fantastic walking routes in the local area, including the popular South West Coast Path which guarantees some beautiful sights. If you've booked pet-friendly accommodation, you can rest assured that your dog will have the time of their life! Despite the peaceful surroundings, Pentire Coastal Holiday Park boasts fantastic transport links thanks to its proximity to the A39, which makes it easy to explore the local area as well as further afield, and get a chance to see everything Cornwall has to offer. You'll never run out of things to do in this beautiful county. With easy access to the seaside, the peaceful Pentire Coastal Holiday Park is the perfect home base from which to explore the beautiful beaches of North Cornwall, as well as all the other attractions the area has to offer with a spacious, modern holiday home to return to at the end of the day. There's a range of accommodation available, too, to ensure that your holiday will suit your needs and budget. If you’re looking for a day of family fun, the Milky Way Adventure Park is just 10 miles from Pentire. With five rollercoasters, indoor and outdoor activities and play areas, a range of live shows and events, and more, there’s something for everyone at this amazing theme park. If you’re looking to take to the waves, the Raven Surf School at Widemouth Bay is the perfect place to get started. The brilliant instructors will take you through how to do it, step-by-step, in a beautiful beach setting that’s ideal for surfers of any age or experience level. 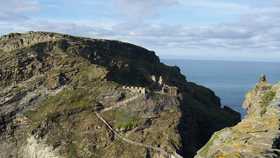 Immerse yourself in history with a visit to the ruins of this medieval castle atop the rugged Cornish clifftops. Linked to the legend of King Arthur, Tintagel Castle has a definite air of enchantment to it and its location offers incredible views over the surrounding area. 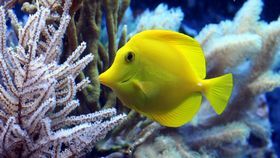 Take a peek at life beneath the waves at the Blue Reef Aquarium in Newquay, where you’ll come face-to-face with undersea creatures including sharks, turtles and octopuses in naturally themed enclosures. Don’t miss the underwater tunnel with its incredible coral reef. 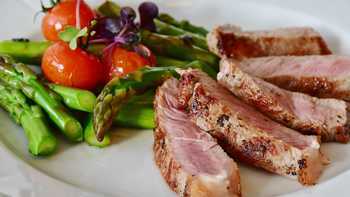 Eat out locally at the Courtyard Bar & Grill in Poughill for tasty home-cooked meals, accompanied with a range of local beers and wines. Or head to the Break at Widemouth Bay if you fancy sweeping sea views, a casual atmosphere and an extensive menu, including some great fish and chips. 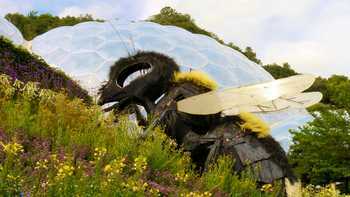 The Eden Project, with its artificial biomes full of plants from all over the world, is an experience you won’t want to miss out on while you’re in Cornwall. For those interested in learning about local history, the Bude Castle Heritage Centre is a great place for a visit. 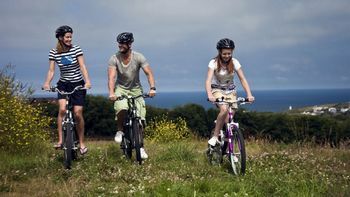 The scenic Camel Trail is nearby and is very popular with walkers and cyclists. Summerleaze Beach at Bude has a tidal swimming pool for safer swimming in sea water without the potentially dangerous ocean currents. And if you’re looking for something a bit more relaxing, there’s good fishing in the Bude Canal. Don’t leave your best friend behind while you explore Cornwall: we’ve put together a whole list of dog-friendly activities to try out. Discover beaches, gardens, restaurants and more that will welcome the whole family, including the dog. Spent enough holidays desperately trying to stake out a spot on the sand among hundreds of other holidaymakers? Dodge the crowds by reading up on the quietest beaches in Cornwall – you’re sure to find a secluded coastal retreat that’s perfect for you. We all head off on our holidays hoping for hot weather, but how do you deal with those rainy days? 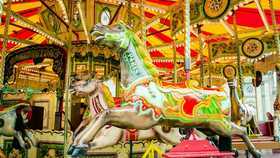 Fortunately, Cornwall has a huge variety of indoor attractions suitable for when the weather takes a turn - find out more with our blog post.